An Ancient Painted House In Old Town Square In Prague, Czech.. Stock Photo, Picture And Royalty Free Image. Image 93848907. 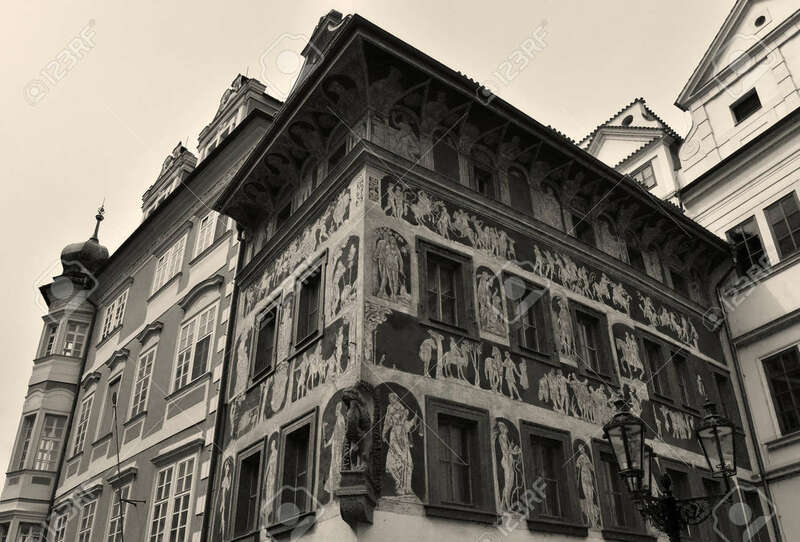 Stock Photo - An ancient painted house in Old Town Square in Prague, Czech Republic. Sepia effect. An ancient painted house in Old Town Square in Prague, Czech Republic. Sepia effect.